we arrived in istanbul to a most beautiful morning and perfect weather, thankfully as we finally had great weather in ny and i was reluctant to leave it. 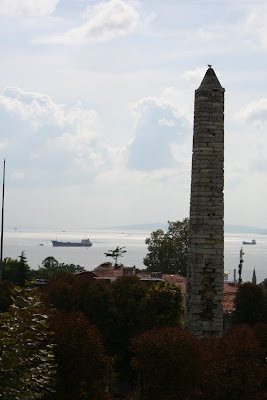 this is the view from the balcony off our room - the sultanahmet and the sea of marmara beyond it....not bad! 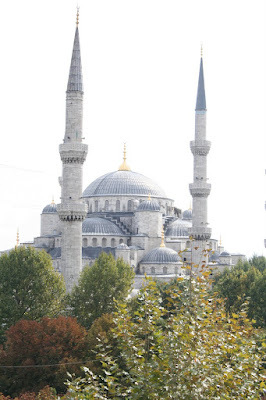 our first day was an easy on as we were a tad jet lagged, visited the sultanahmet mosque and had dinner on a quiet little street in an outdoor cafe. then just wandered the neighborhood.